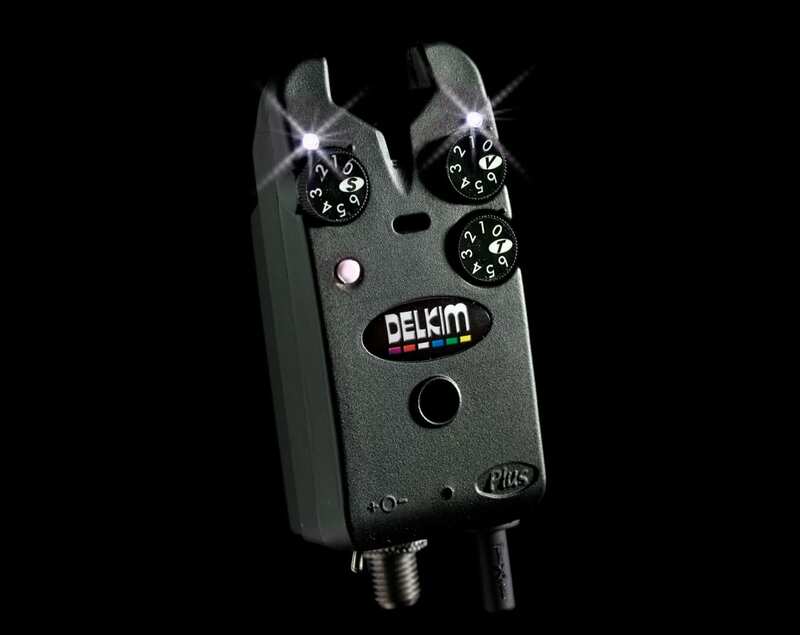 The Delkim Tx-i Plus is our multi award winning, flagship and biggest selling model in the Delkim Plus range of electronic bite alarms. It continues to be the first choice bite alarm for experienced anglers all over the world, where sensitivity, controllability, versatility and reliability are the main requirements. Used in conjunction with the Rx Plus Pro Mini Receiver it gives the user the most reliable and sophisticated cordless radio system that money can buy, with genuine range and long battery life expectations. according to the regulations in the R&TTE Directive 1999/5/EC. In accordance with ECC/DEC/(04)02 (European Harmonised Frequencies for non-specific short range devices), these products operate within the designated frequency band 433.05-434.79Mhz.